The Gibson spring assisted knife with G-10 handles is an awesome knife for its cost. A superb budget knife! This Gibson features a black finish 1045 stainless steel blade with black ambidextrous thumb studs; jimping along the back end of the blade; a liner lock; a black G-10 handle with stainless steel hardware; and a tip-up pocket clip. The spring assist action when opening the blade is smooth and powerful. The blade locks up solid assuring safe and reliable use. This knife is superior in terms of cost to quality ratio. It retails at $25.00. 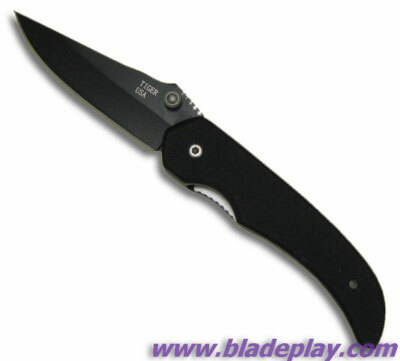 Buy this knife at Grindworx.com for an excellent price!